We had another great event this year! Check out the Race Results. Exciting changes are ahead for the 2019 Turtle Crawl races! Turtle Crawl was created in 2003 as a fundraiser for the Georgia Sea Turtle Center (GSTC). 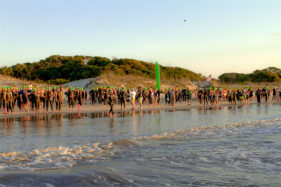 Since that time, the event and its participants have raised more than $100,000 to help save sea turtles. In just 11 years of operation, the Georgia Sea Turtle Center has provided care for more than 3,000 patients, including a variety of sea turtle species and other coastal wildlife. GSTC has also provided environmental education for more than 1,200 groups, and last year welcomed more than 109,000 guests in the Center from near and far. As the Center continues to grow and change, so will the event that supports its lifesaving work. 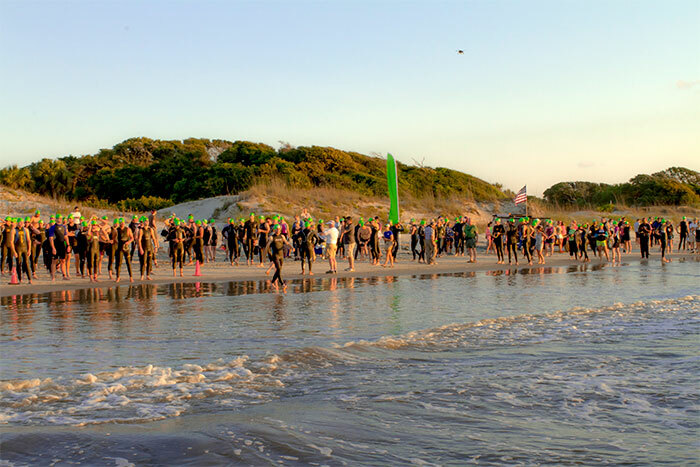 As we analyzed past Turtle Crawl events, we discovered that the increasing costs of producing triathlons, combined with declining triathlon participation, was preventing us from efficiently and effectively raising money for GSTC. 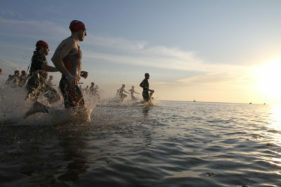 This analysis brought us to the decision to eliminate the triathlon from the Turtle Crawl events. 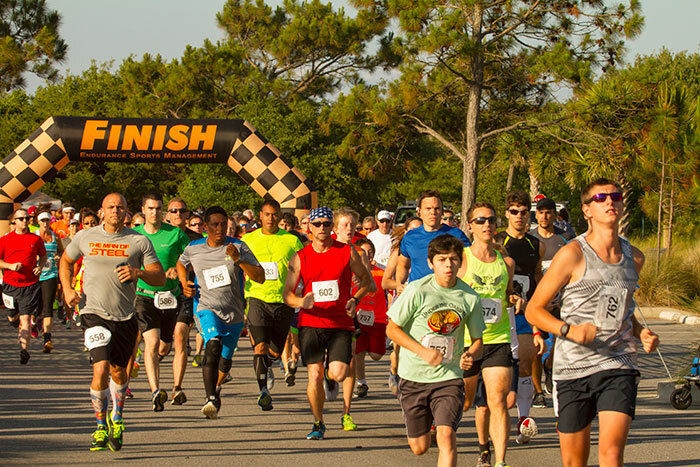 We will continue to host the highly popular 5k and 10k races, and as a response to your requests, we have added a one-mile Fun Run on the beach and shifted the event date to earlier in the spring. Turtle Crawl will be held March 9, 2019. 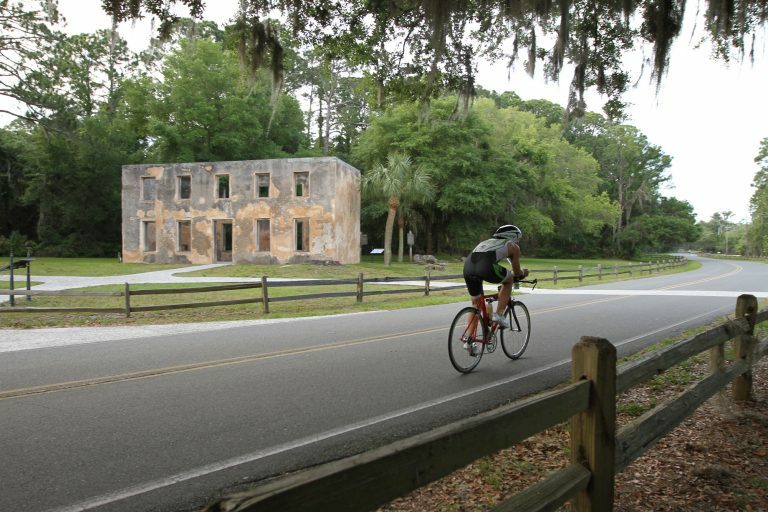 These races along Jekyll Island’s picturesque shoreline and maritime forest do more than get your blood pumping; they also aid sea turtle education, research, and rehabilitation at the Georgia Sea Turtle Center (GSTC) through the Jekyll Island Foundation. Learn more below. 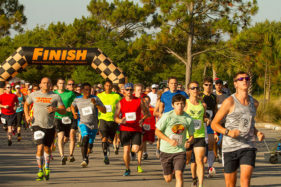 With a renewed focus on fundraising via the Turtle Crawl 5K, 10K, and Fun Run races, we will all be able to better support the Georgia Sea Turtle Center and its mission of research, rehabilitation, and education. We sincerely appreciate your support for this event and GSTC, and hope you’ll join us for Turtle Crawl in 2019. Registration is now open, and are looking forward to a wonderful day of races and saving turtles. Friday, March 8, 2019: 12-7 p.m. at the Georgia Sea Turtle Center. We HIGHLY recommend picking up your packet on Friday. These races are flat, fast, and a fun way to support the tremendous efforts of the Georgia Sea Turtle Center. 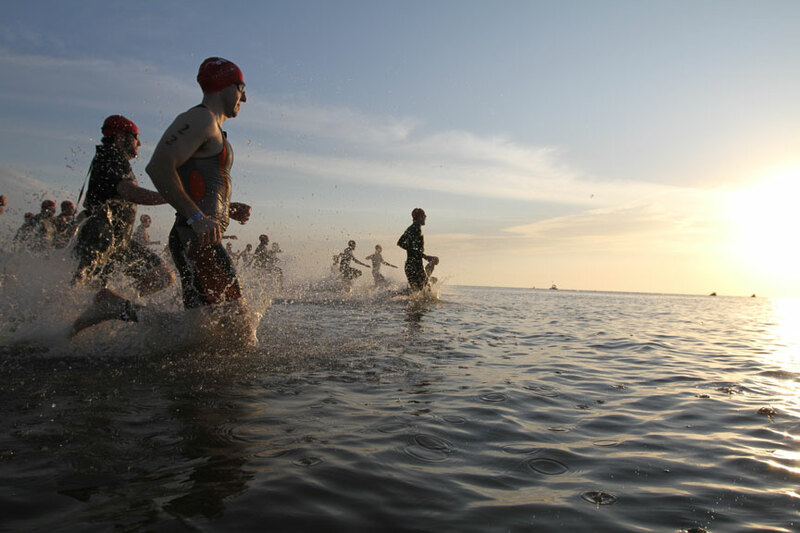 Note: Races are non-refundable, non-transferable and cannot be deferred to another year. Ghost Crawlers will be mailed shirts. Shirts: The deadline to guarantee a shirt is February 8th, 2019. Weather Policy: Safety is of the utmost importance to the organizers of the Turtle Crawl Races. As with all of our events, we will be tracking the weather in the weeks and days leading up to the race. Please keep in mind that this event has a no refund policy and this includes if the race is cancelled due to an “act of God.” All race related items have already been paid for by the race production team. Additional Information: Visit the Turtle Crawl site. Want to help give back and volunteer? You can find the volunteers positions and sign up here: Turtle Crawl Volunteer Page. 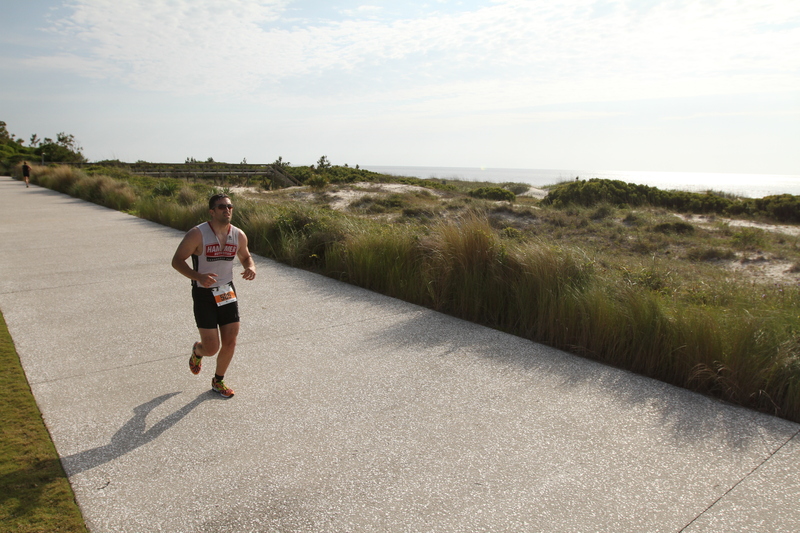 These races do more than get your blood pumping; they also benefit the Island’s renowned GSTC. The GSTC is operated by the Jekyll Island Authority (JIA) as a conservation program dedicated to increasing awareness through education, rehabilitation, and research programs. The Center is a working wildlife hospital that is open to the public, offering an interactive exhibit gallery and rehabilitation pavilion where guests can observe and learn about sea turtle and other wildlife patients. Since opening its doors in 2007, the GSTC has healed and released nearly 2,500 animals. The JIA, along with generous supporters through the Jekyll Island Foundation, enable the GSTC to operate its life-saving facility, the only one of its kind in the state of Georgia.